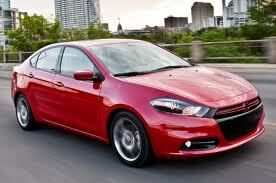 Chrysler Group LLC (Chrysler) is recalling certain model year 2013 Dodge Dart vehicles manufactured on November 27, 2012. Some vehicles may have been built with incorrect rear brake calipers, which could result in an inoperable parking brake. If the parking brake is inoperable, the vehicle could roll when parked increasing the risk of a crash. Got a lemon Dodge Dart? Want a new Dodge Dart or your money back?